Updates to Winfred (Fred)'s profile since your last visit are highlighted in yellow. I have four grandchildren--three boys and a girl. 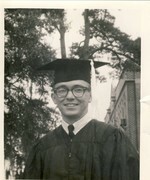 I graduated from Florida State University in 1967and was on the faculty of Albany Junior College until 1975. I was in administration in the South Carolina Technical College System, first at Trdent Tecnical College in Charleston, S.C., and then at Technical College of the Lowcountry here in Beaufort, S.C. until my retirement in 2005. I continue to teach courses at the college part-time. My perference now is gardening, woodworking, and spoiling my grandchildren. My oldest is on the football team at Weber International University in Florida, and my youngest is a beautiful six-month old baby girl. 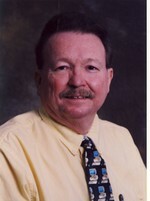 Winfred (Fred) Seitz Jr has a birthday today.